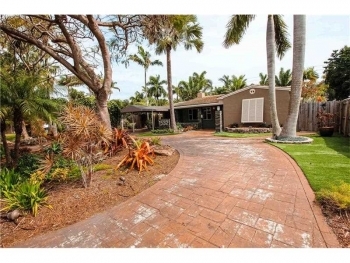 Poinsettia Heights modern luxury home 1532 NE 16th Ave Fort Lauderdale, FL 33304 3 bedrooms | 2 bathrooms | 1,361 square feet Listed at $560,900.00 If you seek a clean, modern mid-century style affordable South Florida luxury home for sale this is it. Located in East Fort Lauderdale's Poinsettia Heights neighborhood this lovely home is close to the beach, The Galleria and downtown and Las Olas. Contact Fort Lauderdale real estate Keith Hasting by calling 305-778-0244 or emailing kjhasting305@gmail.com and schedule a viewing today. 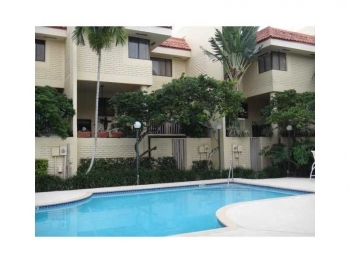 Hollywood Station 140 N Dixie Highway, Unit # 1008 Hollywood, FL 33020 1 bedroom | 1 and half bathrooms | 1,050 square feet Listed at $211,900.00 Are you looking for the best deal on a turn key move in ready Downtown Hollywood condo? Then this is your new home as it needs nothing done as is by far the best deal not only in the building but in Hollywood. 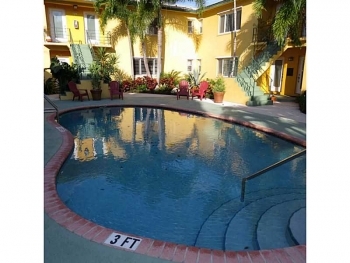 Yes with an extra 200 square feet over the other listed one bedrooms in Hollywood Station (this unit is the only 1 bedroom + den floor plan for sale versus the standard 1 bedrooms at only 850 square feet). Not only is priced less than most of the other one bedrooms this unit is completely remodeled and done with high-end appliances and finishes. Contact Keith Hasting at 305-778-0244 or email kjhasting305@gmail.com and schedule a viewing today. 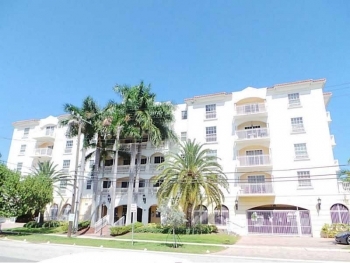 Terraces of The Isles luxury Fort Lauderdale townhouse 110 Hendricks Isle Unit #11 Fort Lauderdale, FL 33301 3 bedrooms and 3 & half bathrooms | 3,940 square feet This townhouse is located in the most beautiful neighborhoods and is perfect for those wanting the good life. The shops and dining of Las Olas is within walking distance as is the heart of Fort Lauderdale's yatching community. 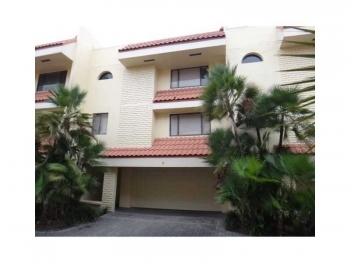 2 level condo w hall elevator access to both levels & foyer entrys. LA 3,940SF + 218SF Terraces, Total of 4,158 SF. Main level: living area, kitchen, breakfast room, dining, bonus den/office,laundry,storage, terrace. Skylight over stairs to 2nd floor all 3 bdrms have private baths & ample walk-in closets. Master Jacuzzi on terrace w. partial canal view and his/hers closet. Private luxury boutique building with 14 units; features secure access/parking, gym, sauna, pool and private dock for up to 42ft boat. Contact Fort Lauderdale realtor Keith Hasting at 305-778-0244 or email kjhasting305@gmail.com and schedule a private showing today. 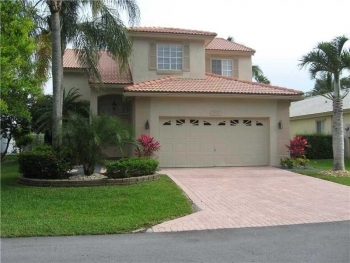 1041 NE 28th Avenue Fort Lauderdale, FL 33062 4 bedrooms | 3 bathrooms | 2,000 square feet Listed at $979,000.00 Beautiful 4/3 on quiet Cul-de-Sac street on Harbor Village Island, Impact Windows, S-Tile Roof, new Seawall and dock with 12000 lbs boat lift. Beautiful Pool area with large covered patio, great for entertaining. Two Master Bedroom Suites with cedar lined walk-in closets and updated Master bathrooms.This home is perfect for water lovers and looking for a great deal within the Fort Lauderdale luxury real estate market. Updated kitchen with chef's island and breakfast area. 3rd bathroom also beautifully updated. 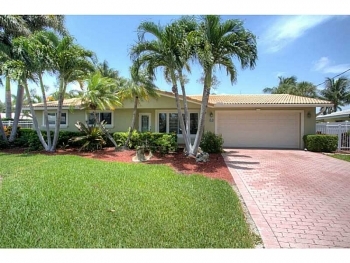 This is a move-in ready home, bring and your boat and family, and enjoy waterfront S.Florida living at it's best. Contact Fort Lauderdale realtor Keith Hasting at 305-778-0244 or email kjhasting305@gmail.com and schedule a viewing today. Fort Lauderdale Las Olas Luxury Rental 7 bedrooms | 7 and half bathrooms | 6,500 square feet Waterfront with Ocean Access no fixed bridges and dockage for full size yacht For rent $18,000.00 a month Looking to live the good life and explore the seas of warm tropical Atlantic Ocean? 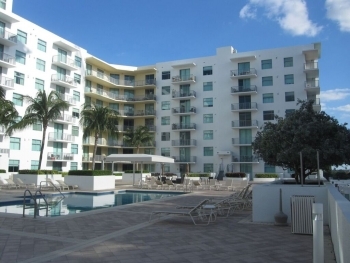 Then this Fort Lauderdale Las Olas luxury rental is for you! This home is also for sale if you are looking to buy for $3,500,000.00 call Fort Lauderdale real estate agent Keith Hasting at 305-778-0244 and schedule a viewing today. Here is review from a Home Buyer on Zillow: Highly likely to recommend 07/24/2015 - Mrjdm69 Bought a Single Family home in 2015 in Wilton Manors, FL. Local knowledge: Process expertise: Responsiveness: Negotiation skills: Keith was truly a professional....he knows his market and listened to my needs and requirements in a house...and then the process began. I was referred to Keith by a friend and so grateful that I was. I was only going to be in town for a week and Keith showed me every house in my target area that met my requirements. We literally toured homes for 6 consecutive days and in that time I found THE house. He always seemed to be available to me, whether by phone or in person regardless of the time of day. He knew my time was limited and would be leaving soon ....He had the contracts drawn up and signed by me and we were in escrow before I left. He was with me every step of the way ...He even helped me find an inspection company and was present for the inspection in my absence. I truly could not have had a more smooth, seamless and positive experience. If you're looking for a home in the lauderdale area you need to reach out to Keith> If you don't you are doing yourself a disservice. Keith not only seems to care... He does care and it's obvious he enjoys what he does. If you are looking to buy or sell in the Fort Lauderdale, Oakland Park or Wilton Manors real estate market call Keith Hasting at 305-778-0244 or email kjhasting305@gmail.com and schedule a free no obligation appointment today.